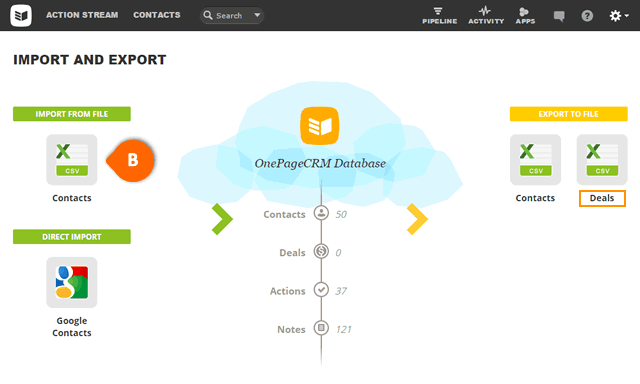 In OnePageCRM you can export pending and / or deals won or lost from 2 places. Go to gear icon → Import and Export tab. On the Import and Export page, go to Export to file section and click on Deals. 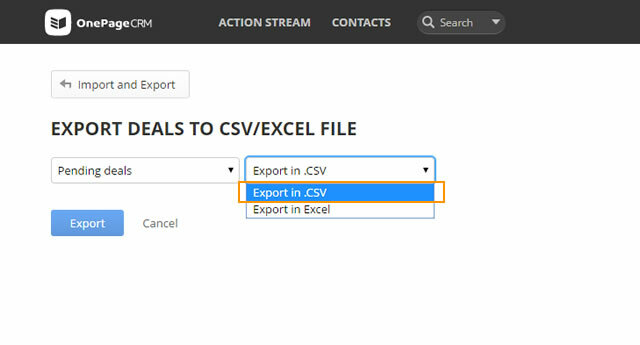 Once on the Export deals to CSV/EXCEL file page, select export option: Pending Deals or Closed deals (Won or Lost). Click on Export to start export. On completion, your deals are downloaded to your computer. 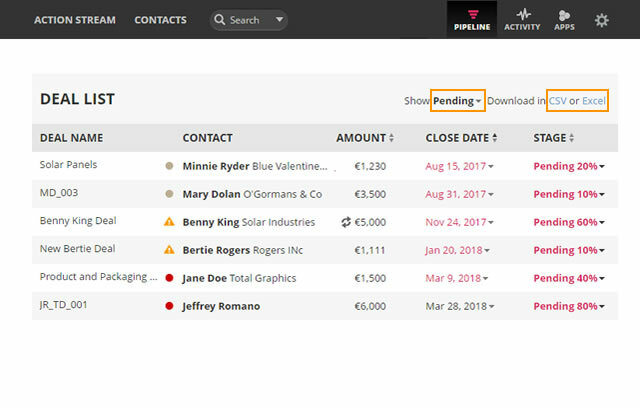 In your Pipeline view, scroll down to Deal List. Select from the following: Pending, Won, Lost, Closed (Won/Lost) or All deals. Select CSV or Excel to download in your preferred format.